Are you an athlete? Do you love listening to music when you are running, biking, or lifting? I know when I exercise, hearing music really improves my workouts. I get hyped, but I also seem to be more focused. I’m more excited about the workout, so I generally do more. It’s just a part of me and I think it’s a part of many people’s lives and workout lives. One of the problems with this is having headphones that just don’t cut it. They slide off, they get ruined by sweat, they just are not meant to be worked out in. 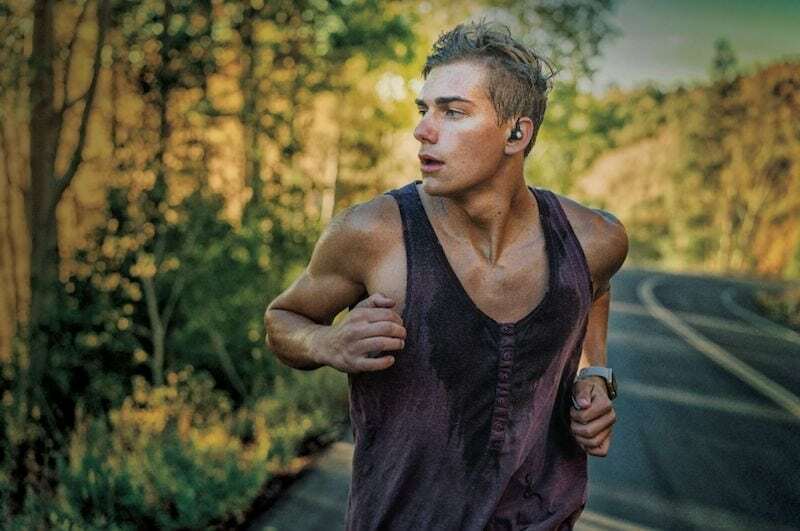 I’ve done a number of tech and headphone reviews on my site, but Jaybird RUN might be the first completely sweatproof and dirtproof wireless earbuds. And they are awesome. I think we all know about having wires catch on trees, stick to our bodies from sweat, or cut out from getting wet got old fast. The Jay bird people know it all too well, too. Having a long, loose wire connected to a device holds us back. The creators wanted to feel as free as possible outdoors, to forget they were even wearing headphones. Now that, I have to say, is an awesome thought, right? So, in 2006, Jaybird was born. They made one pair of buds that cut the cord and they kept innovating from there. Working with professional runners helped them design a seamless fit that anyone could tailor to the shape of their ear and actually forget they were wearing them. 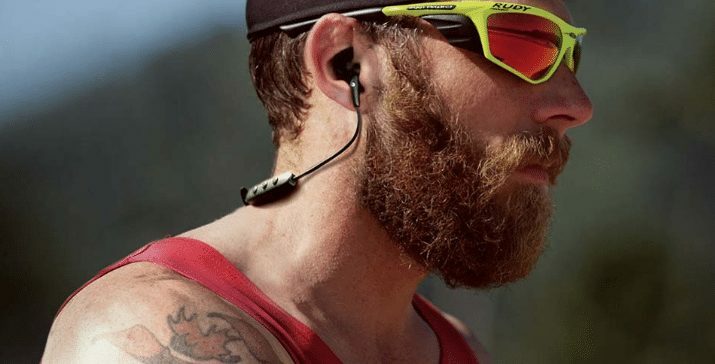 They improved their sweat-proofing test to make sure our buds could survive high-intensity training, unexpected weather, and even an occasional load in the wash. It’s all by design, and it’s all, simply, a standout in a sea of mediocre sport headphones. 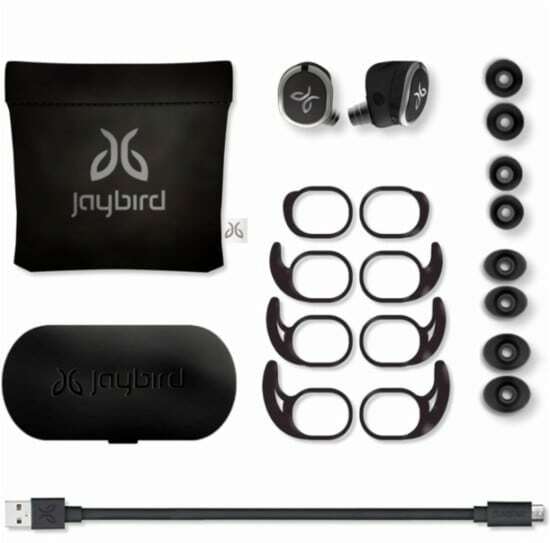 While the list is long, I really wanted to highlight the following points, as I think these are the ones that really make the Jaybird RUN wireless earbuds stand out from the crowd. We all like standing out and getting it done, don’t we?? Bluetooth compatibility – lets you share your playlist without the tangle of wires. It began with the simple idea that sound should be a personal experience. The Jaybird App was created to be an immersive experience that you create and use as a personal training tool. With the app, you can customize your EQ levels for any activity, save your sound preset to your buds, and share your preset to help others find the ideal sound that fuels them towards victory. It makes the headphones that much more outstanding. This is all pretty awesome. Believe me, these bad boys are sick, baby. 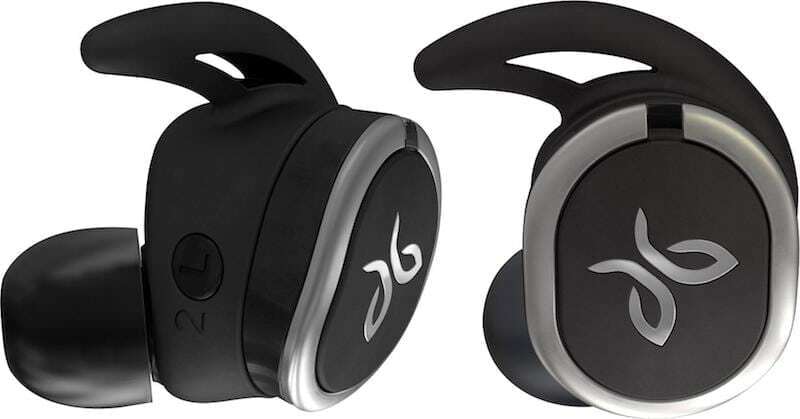 These Jaybird RUN wireless earbuds are sweatproof and dirtproof to handle the worst of your workout. They also MSRP for a really reasonable $179.99. That’s pretty much a steal for headphones that are as awesome and truly useful as these. They will make you step up your game, man. Isn’t that what it’s all about anyway?? I have to get a pair of these! They look perfect for my exercise, and they also look super comfortable. That’s important to me. I’m picky about these things. Those headphones sound all kinds of awesome. I want to get a pair for my oldest son because he will love them. These are amazing headphones. I Love that they are sport style and sweatproof. I don’t know how many times I even just take a nice long walk in this humidity and the earbuds are ruined. Love this style and that they’re wireless. These headphones are super helpful! I can see how they could be perfect for the gym too! This is perfect. Love the wireless earphones. It’s so convenient to have when you live an active lifestyle and it’s even better because it’s sweat proof. Wow these headphones look great! I need to check these out for my husband! These headphones look like they would be so perfect for those intense workouts. I need to look into getting some of these for my husband.